Adam Heinrich Gabel was born in Norka, Russia on September 22, 1875, the son of Justus (Jost) Göbel (born 1838) and Christina Elisabeth Schreiner (noon 1841). 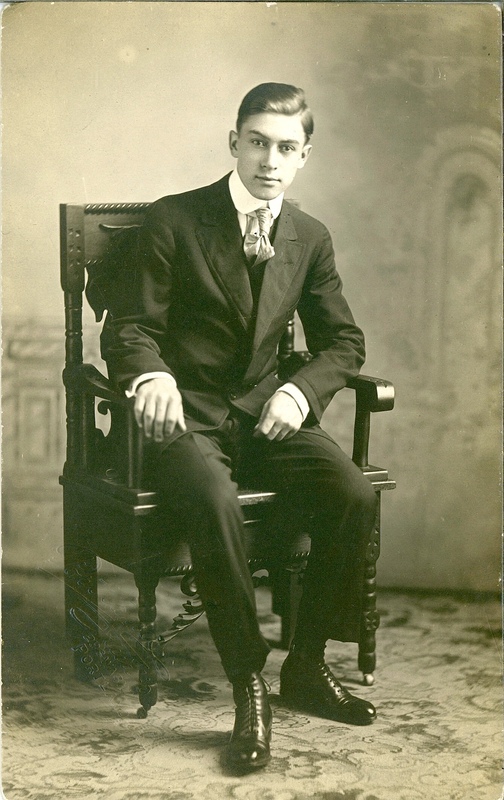 On March 4, 1892, Adam Heinrich (Adam), along with his widowed mother and five siblings, sailed from Hamburg, Germany and arrived in New York on the 25th. The family settled in Nebraska and most remained until their deaths. On January 22, 1899, Adam married Christina Gabel, a distant cousin. Christina was also born in Norka, the daughter of Johannes Göbel (John Gabel) and Elizabeth (Lizzie) Bauer who were among the earliest Volga German pioneers to settle in Portland. The wedding was held in Bee, Nebraska. 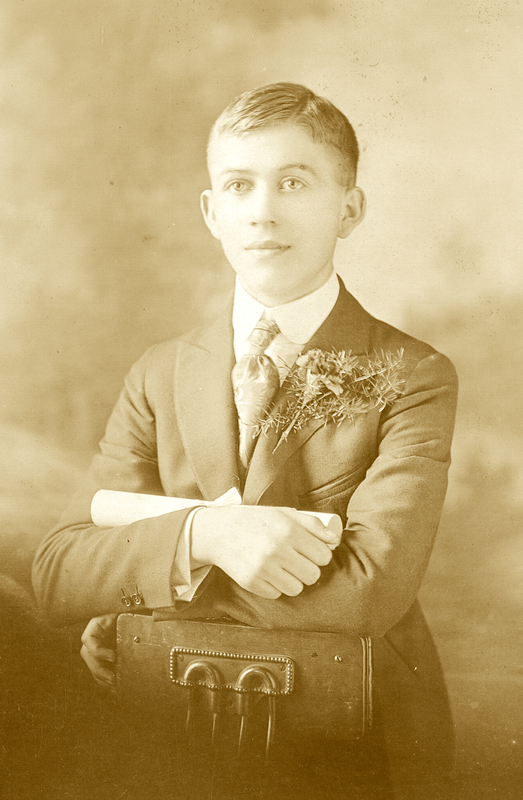 Their first child, William John, was born in Bee on December 13, 1899. 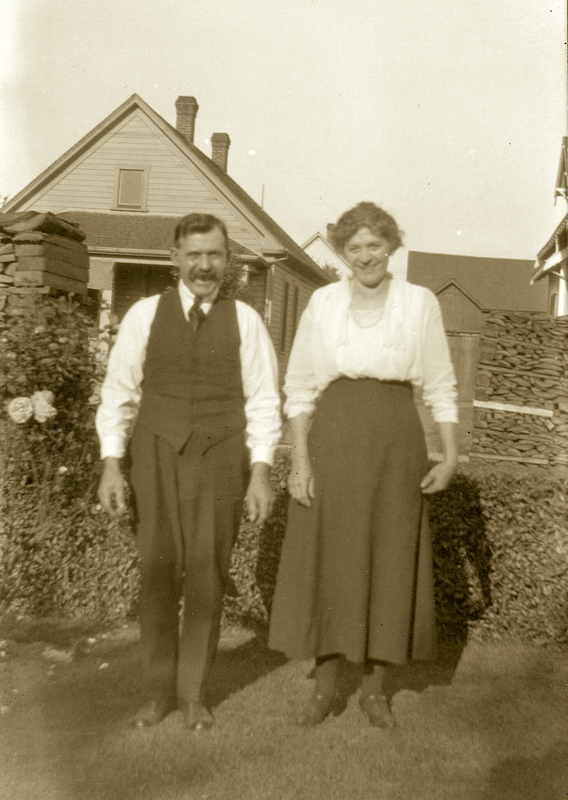 The Gabel's relocated to Portland by the time their daughter, Helena, was born on September 15, 1902. The family initially lived on property they purchased at Union Avenue (now MLK Blvd.) between Beech and Fremont. 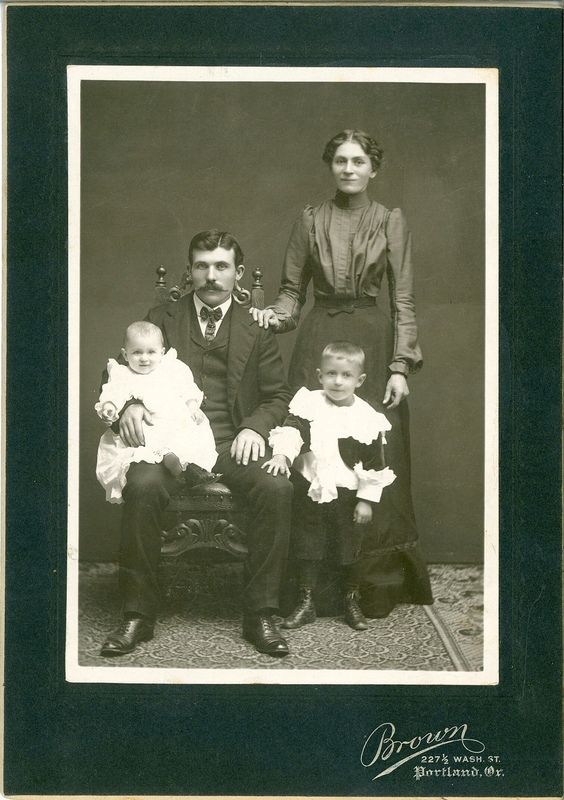 Adam and Christina Gabel with their children Helen and William John circa 1903. Courtesy of George Gabel. Four more children were born in Portland: Raymond (January 22, 1906), Wesley George (December 17, 1909), Irene Elizabeth (April 13, 1913) and George (May 6, 1915). Sadly, Helen died in 1914 from Rheumatic Fever. 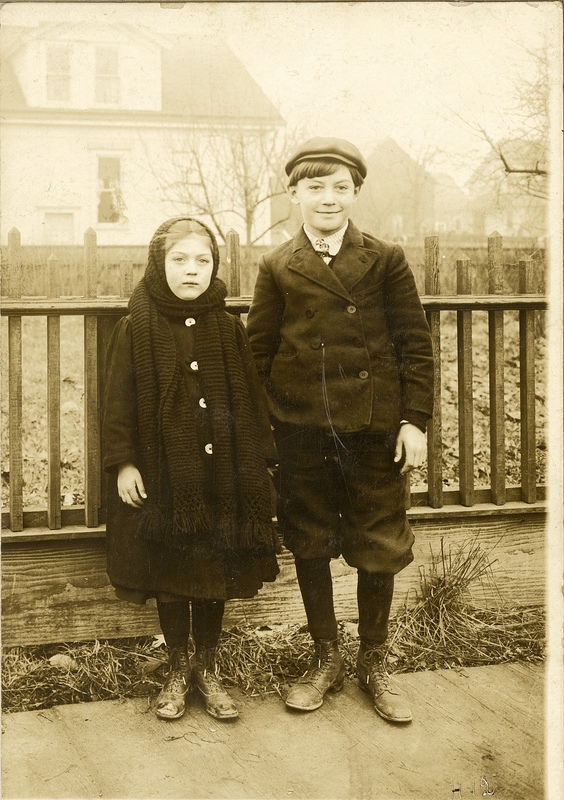 Helen and William John Gabel circa 1908 in Portland. Courtesy of George Gabel. Portrait of Raymond Gabel. Courtesy of George Gabel. 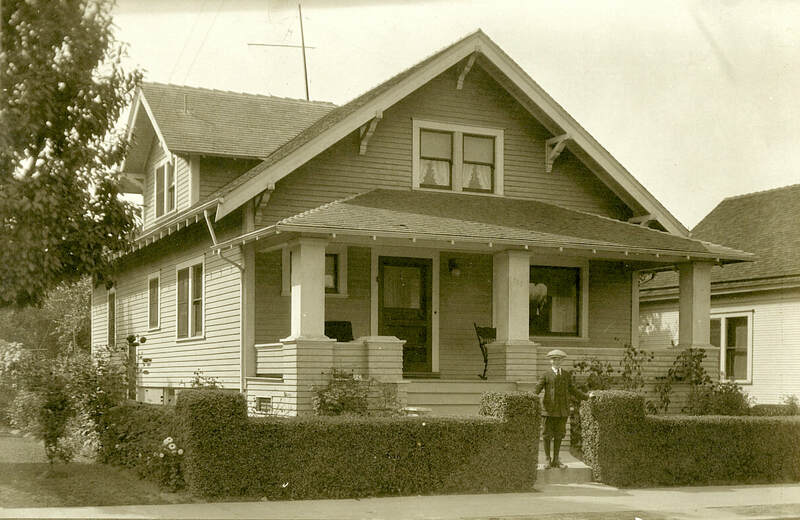 The family resided at 757 E. 6th Street N. (now 3531 NE 6th) for many years. Their original house was torn down to make room for a much larger house built in 1920. 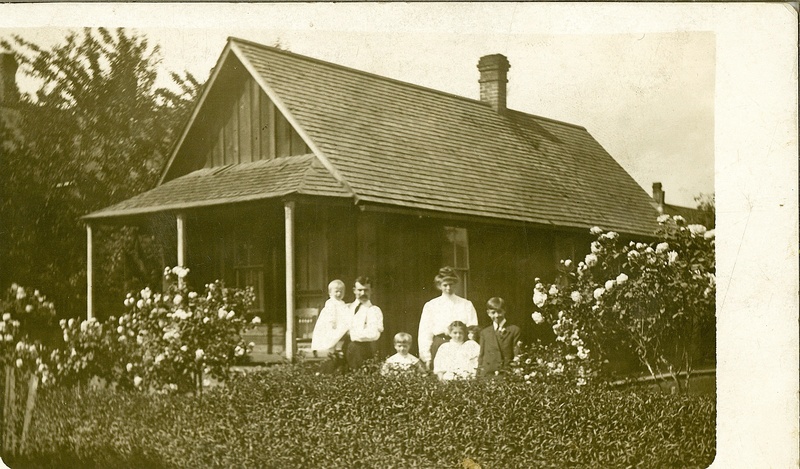 Adam and Christina Gabel at their first home on NE 6th circa 1910 with their four children: Wesley George, Raymond, Helen and John William. This house was moved further north on 6th Avenue. Christina's parents may have lived in this structure or had it placed on their property. The current house at 3733 NE 6th looks very similar. Courtesy of George Gabel. 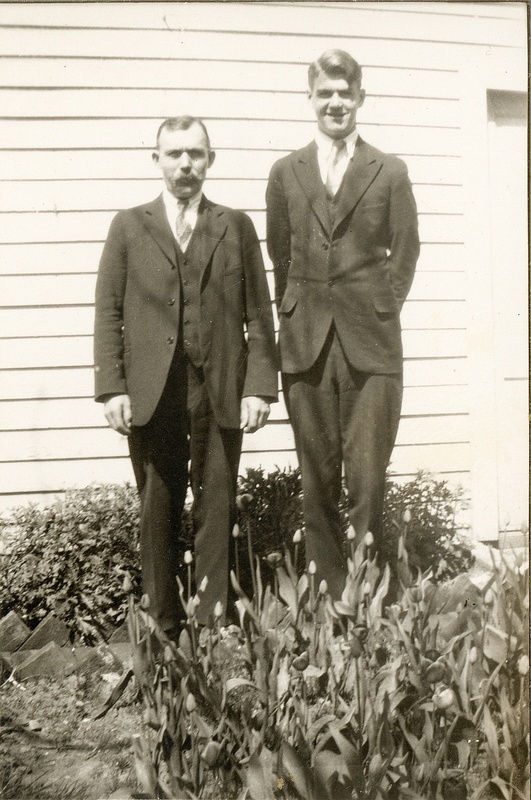 In September 1918, Adam was working as an assistant manager at Terminal Ice and Cold Storage. 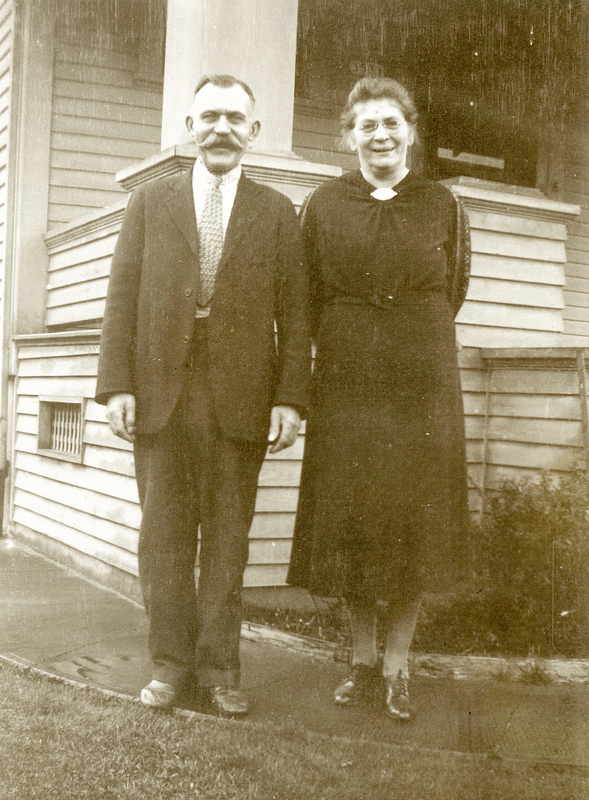 The Gabel children attended the second Albina Homestead School and the family attended the Ebenezer German Congregational Church. The Gabel's bought their meat and poultry at Repp Brothers Groceries and Meats. Adam made his own wine once each year. Other items, such as produce, was purchased from vendors who came through the neighborhood with horse and cart. Christina made her own rye bread, Grebbel, and Riwwelkuchen. The Gabel's second home was built in 1920 on the same lot as their first house. Courtesy of George Gabel. Portrait of William John Gabel on July 16, 1916. Courtesy of George Gabel. Adam declared his intention to become a United States citizen on March 30, 1928. 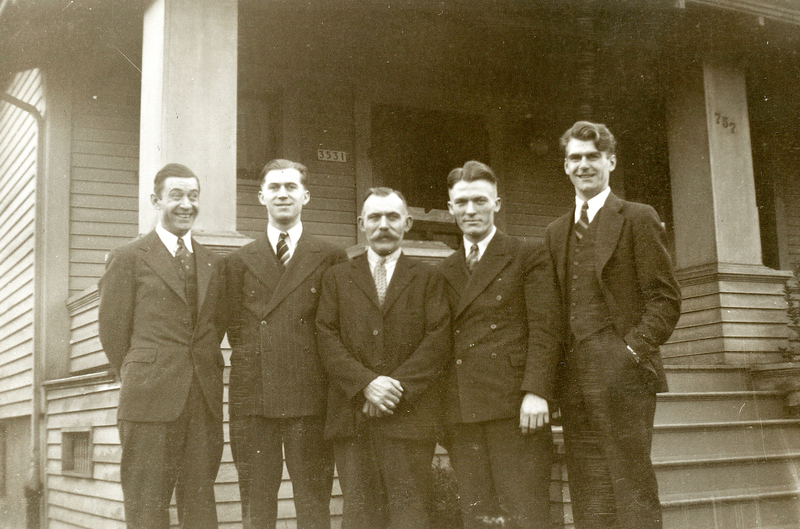 In 1930, Adam was working as a machinist for one of the steam railroads in Portland. He was laid-off by the railroad during the depression and was not recalled when the economy improved. He found work as a janitor to continue supporting his family. Photo of Adam and Christina Gabel in their yard on NE 6th Avenue. The Gabel's purchased 8 to 10 cords of slab wood which was delivered by truck and cut in August. The wood was then stored in the basement for use in the winter. Courtesy of George Gabel. Adam Gabel and his son George. Courtesy of George Gabel. William John, Raymond, Adam, Wesley and George Gabel. Courtesy of George Gabel. 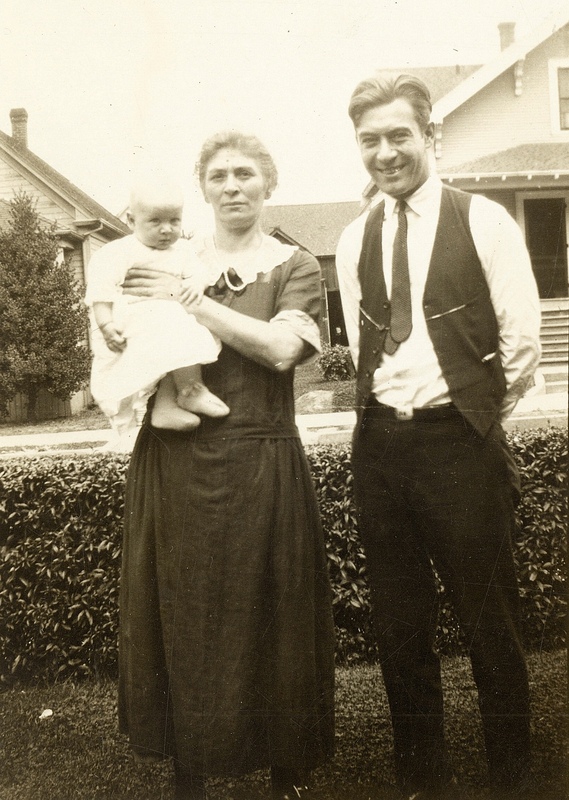 Christina Gabel holding her grandson William John Gabel Jr. and standing with her son, William John (Bill) circa 1924. Courtesy of George Gabel. Adam died on January 8, 1944 and was buried at the Rose City Cemetery. Christina died in 1972 and was buried next to Adam. Adam and Christina Gabel circa 1939. Courtesy of George Gabel. Photographs courtesy of George Gabel, the son of Adam Heinrich and Christina Gabel. Oral interview of George Gabel conducted by Shirley Hurrell on July 28, 2009. Recordings available at the Center for Volga German Studies at Concordia University. George was born on May 6, 1915 and died January 21, 2010 in Beaverton, Oregon. Last updated January 15, 2019.